Books, cold beers, and a night time parade – not a bad way to spend a scorching weekend. This year we are letting the perfect summer bier, Kölsch, take over the pub completely. 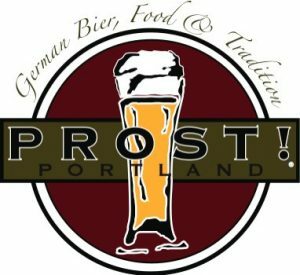 We will be serving five different brands on draft in traditional .2L Stange from Früh, Zunft, Reissdorf, Sünner, and Freigeist. We will have food specials inspired by the annual Carnival in Köln. This is a completely unique event, that you don’t want to miss! 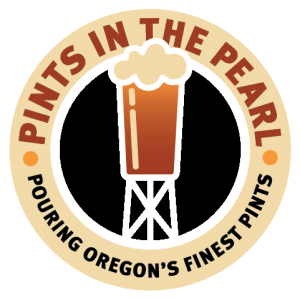 Pints In The Pearl is Portland’s premier beer fest! Open to all-ages, with food, music, family friendly entertainment, and exclusive beers poured for the event by Deschutes Brewery Portland Public House, 10 Barrel Brewing PDX, Fat Head’s Portland and BridgePort Brewing Company! Tickets are available for purchase for $20, which gets you a stainless steel pint glass and 3 Tokens. One of our most popular events, the Portland General Electric/SOLVE Starlight Parade offers funky, eclectic fun for everyone. From traditional marching bands and flood-lit floats, to glow-in-the-dark umbrellas and unique hand-built entries, you’ll see the best of Portland’s diverse community groups (and surrounding Northwest region) together in one whimsical pageant. 2016 makes for an exciting milestone, as the Starlight Parade celebrates 40 years in the city of Portland! 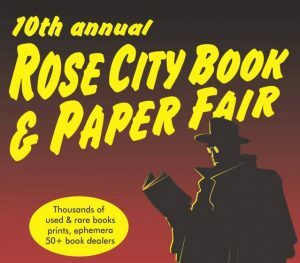 Held at the DoubleTree Hotel Portland (1000 NE Multnomah St, Portland, Oregon 97232) the Rose City Book and Paper Fair celebrates its 10th anniversary this year. Offerings include thousands of used and rare books, prints, and ephemera from more than 50 independent dealers. Admission $3. Good for both days. Proceeds benefit the Oregon Food Bank.